Young heroes can imagine joining Iron Spider and Marvel’s Electro for action-packed adventures or epic match-ups! Sized right for little hands, these figures get a crime-fighting boost with the Playskool Heroes power up feature. 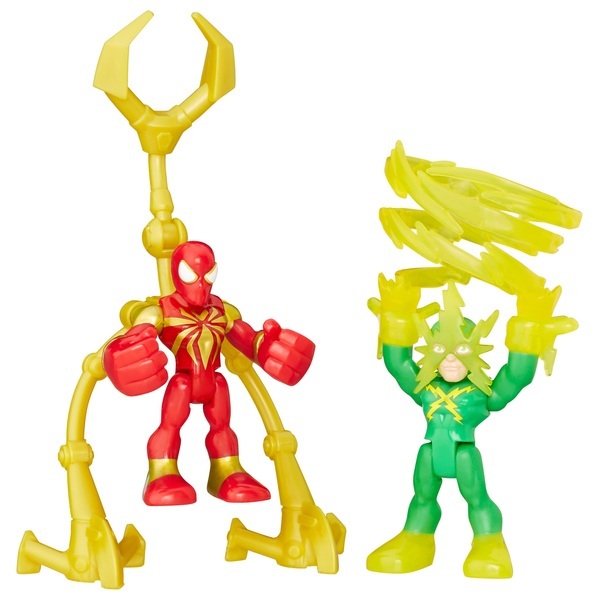 Power up these figures with removable arms that can snap on and off, so kids can pretend to make their favourite Super Heroes even more powerful! Get the Iron Spider figure armed and ready with his giant capture claws, and power up the Marvel’s Electro figure with his shock waves! Help Iron Spider catch the villain with his capture claws and save the day!